Welcome to upgraded NIKE Football Park! 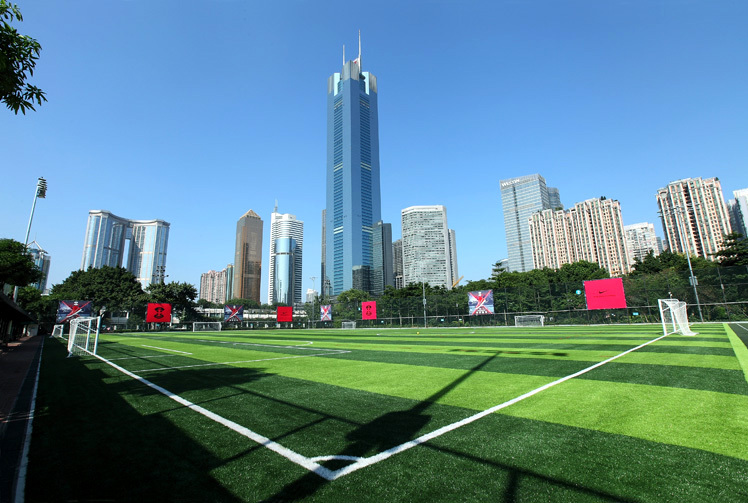 NIKE football park, located Tianhe Sports center,nearby Tianhe sports park, Guangzhou east station and CITIC Plaze, is the landmark of football court in Guangzhou. But after years' high frequency using, as infilling losing, the whole field become harden, highly effect playing. ACT use recycle environmental grass to upgrade the whole field.High dtex innovative structure of grass yarn stiffness better and uniform ball and lawn of the interaction, player provides better ball sense, the grass more reasonable yarn distribution can lighten the space life filled with hardening. Artificial grass project construction: glue and other installation materials are all the best of environmental protection materials, the overall project installation process is very exquisite and meticulous! This upgraded field, concerning on durability and safety and comfort, can carry high frequency use, low maintenance requirements, designed to bring the players more healthy, excellent sports experience. Lighting: Musco company from USA to provide more energy-efficient, professional LED lighting system. Similar LED lighting has been successfully applied to NBA, the Premier League, the Champions League, Rugby World Cup, the United States Tennis Masters, ice hockey, baseball, golf and many other world-class events. 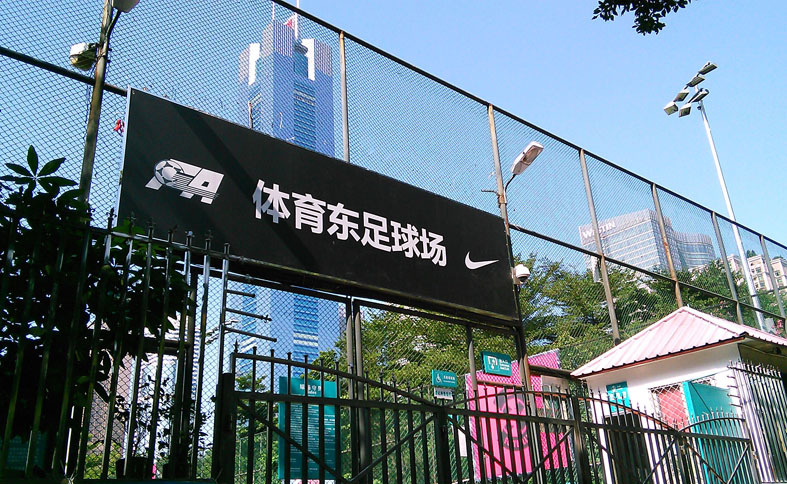 From last weekend, the NIKE football field already began to undertake large-scale activities in Guangzhou, and got fans' hot pursuit. Next: ACT GROUP was awarded China National Sport Demonstration Enterprise.